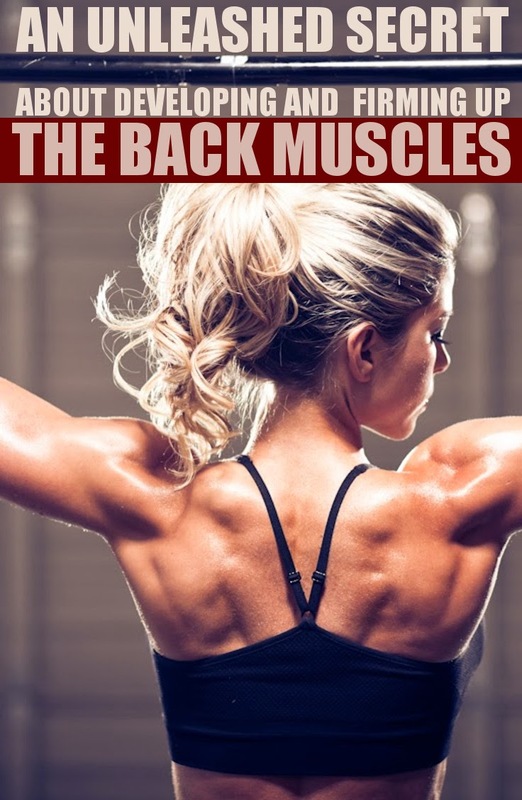 The back is a critical part of your body, one false move and you can snap your back, thus, the exercises targeting the back muscles must be performed perfectly. In this article you will experience a detailed explanation about the back anatomy. Being aware of how your muscles work allows you to train them properly for optimized results. This is a very wide triangular shaped muscle that covers almost all of the muscles at the nape of the neck, and a large part of the back. The fibers of this muscle provide a pulling mechanism in three directions: up, down and in. Its function is to turn the head and raise the shoulders. The rhomboids originate on the spinal column and attach to the middle of the scapula. Their function is to bring the scapula in towards the spine, literally meaning to squeeze the shoulder blades together.This muscle originates on the outer edge of the scapula and attaches to the humerus. It serves to pull the arm back. 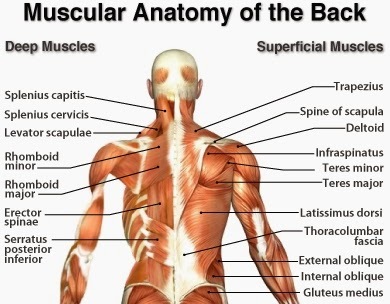 This is the largest muscle of the back. Fan or "V" shaped, they provide force in a number of body positions, these same positions can be duplicated on a pulldown machine using varying angles, that is, you can pull straight down, or in any leaning back position.They are attached to the upper end of the humerus and run down the vertebral column and pelvic girdle. The function of this muscle is to pull the arm downward. If the arm is in a fixed position, then the lats can pull the arm upward. A group of muscles that give support to the spinal column. These muscles are: the longissimus, the spinalis and the iliocostalis. The function is to extend the spine.